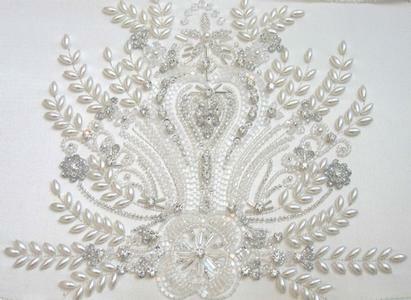 Glamorous and modern Art Deco inspired designs are my inspiration when designing beading for Mark Holt Bridal. 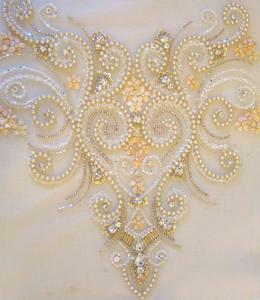 Using both tambour beading and hand bead embroidery techniques, I use rice shaped pearls, beads with satin finishes, crystals, sequins and silver jeweled stones to create bead embroidery that has a vintage flavor. 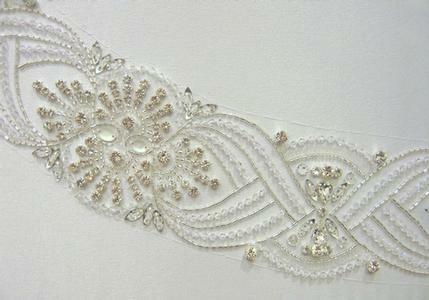 Rouched bodices are peppered with Czech glass crystals and tiny silver lined seed beads. Skirt splits are embellished with beads in patterns that create a bespoke finish. 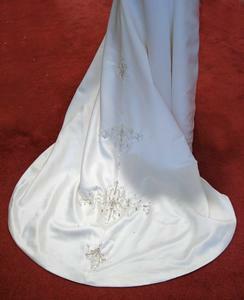 Belts are intricately worked and completely filled to accessorize even the simplest of gowns.